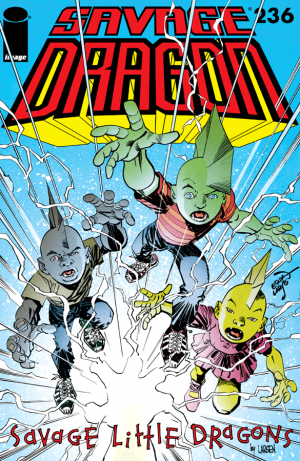 What happens when the kids of Savage Dragon break out of the house from their babysitter? 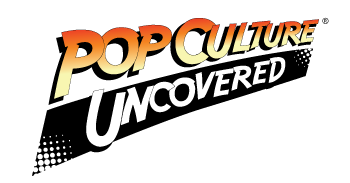 What happens when the kids of Savage Dragon break out of the house from their babysitter? The only word is craziness! The story in Savage Dragon #236 deals with Savage’s kids escaping their house when their little sister falls out of the window. The kids try to track their sister down, while that is going on Savage and his allies are in a race to find the kids. The kids’s adventures take them from a construction site to a alternate dimension! This story is so much fun. Erik Larson makes Savage Dragon take a backseat in this book and it works so well. The chemistry and bond between each of his kids is fantastic. I found myself laughing out loud while reading. This is such a silly story but it is perfect. In a book that can be very intense at times this tale is a breath of fresh air in every way. The parts where the kids are in the alternate dimension are great. I cannot say enough about this story! Larson also takes on the art duties in this book and it’s great. Every character looks like they belong in this world. The backgrounds are great and the colors pop. The kids look like little versions of Savage Dragon but they are different colors. I love how each of the kids have a unique look that helps tell them apart. The art is just so on point. I loved this book so much and I look forward to more adventures of the Savage Little Dragons.